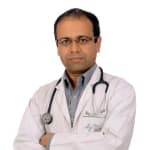 Dr. Sanjeev Gupta is one of the best General Physicians in Indirapuram, Ghaziabad. He has been a practicing General Physician for 13 years. He has done MBBS, MD - Medicine. You can consult Dr. Sanjeev Gupta at Max Super Speciality Hospital in Patparganj, Delhi. Book an appointment online with Dr. Sanjeev Gupta and consult privately on Lybrate.com. Lybrate.com has a nexus of the most experienced General Physicians in India. You will find General Physicians with more than 27 years of experience on Lybrate.com. Find the best General Physicians online in Delhi. View the profile of medical specialists and their reviews from other patients to make an informed decision. Which kind of clothing lets your skin breathe? Between a woman dressed in a satin dress and another dressed in cotton, who do you think was more comfortable? The lady dressed in cotton ofcourse! It isn't the length of the dress that dictates this answer but the breathability of the fabric. Breathability can be defined as the fabric's ability to allow air and moisture to pass through it. This is determined by the composition of fibers and how tightly they are woven together. Wearing breathable fabric helps your skin breathe by allowing sweat to evaporate rather than block skin pores. This also helps regulate your body's temperature. So, when you go shopping for your summer wardrobe, look out for these fabrics. Cotton: Cotton is a natural fiber hat can be found in a number of varieties. However, not all of them are breathable. For your skin to breathe, avoid cotton blends and stick to 100% cotton fabric. Seersucker and madras cotton are great for summer. Cotton clothes are ideal for dry summers as well as humid conditions. Linen: The light weight nature of linen makes it an extremely breathable fabric. This natural fiber also absorbs moisture very well. Light Silk: Silk is often termed as a winter material but light silks are ideal for any weather. Silk is highly absorbent and dries quickly thus allowing your skin to breathe. It also has natural climate regulating properties that allow it to stay cool in summers and warm in winters. Silk is also the most hypoallergenic fabric available. Chambray: Chambray is a breathable alternative to denims. While heavy weight chambray has a rugged appeal, light weight chambray can have a casual as well as dressy appeal. Nylon: Nylon is a completely synthetic material with low absorption and a water repellant nature. Thus not only will it not allow sweat to evaporate, it will trap your sweat within your clothes. This is both uncomfortable and unhealthy. Polyester and Polyester blends: Like nylon, polyester is water repellent and thus allows perspiration to between your clothes and your skin causing the garment to stick to the body. Don't assume a polyester cotton blend to be any better as even a 40% synthetic presence can keep the fabric from absorbing sweat. Viscose or Rayon: Both these fabrics are often passed off as cotton. However they do not have the absorption or breathability nature of cotton. While it will not trap heat like nylon and polyester, rayon also repels water thus leading to a perspiration build up. Satin: Satin is produced by weaving nylon and polyester together and hence is synthetic and does not allow the skin to breathe. Also satin is thick and heavy. However, these symptoms may not necessarily indicate colon cancer. They can occur in the absence of colon cancer too. Related Tip: A Few Tips and Strategies to Follow to Avoid Breast Cancer? I have been diagnosed with fatty liver and fatty pancreas. What should I do to make it heal? Take less of fats and more of salad/fruits. Go for brisk walk for at least 45 minutes/day. No medicines. I have a patient of high blood pressure and have tried to keep it in control buy using drugs. I have want to control it permanently please what can I do for it. Take less of salt. Avoid pickles. Take more of fruits and salad. Go for brisk walk for at least 45 minutes/day. If still not controlled, you have to take medicines. Do You Know What's SO Dangerous about the Regular Metabolic Syndrome? Metabolic syndrome refers to a group of conditions that occur together and increase your chances of developing stroke, diabetes, and heart problems. This set of conditions includes high blood sugar, abnormal levels of cholesterol, abdominal fat, and high blood pressure. More importantly, having just any one of these conditions doesn't mean that you suffer from this problem. What really brings about this condition? Experts are still not sure as to what causes the development of this condition; the causes and risk factors can be manifold. 1. Insulin resistance - A hormone produced by the pancreas in your body, insulin plays the vital role of helping your body to use the glucose as fuel. The problem of insulin resistance causes your body to produce more of this hormone so as to tackle the rising glucose levels in your body. Closely connected to excess belly fat, it causes the development of diabetes. 2. Overweight or obesity - Instances of obesity can also cause you to develop metabolic syndrome. More specifically, abdominal obesity can see your prospect increasingly significantly. It can bring about problems like insulin resistance and other associated conditions. 3. Abnormal hormone levels - Even the behavior of hormones can affect your chances of developing this health condition. For example, the hormonal disorder like PCOS can cause metabolic syndrome. 4. Unhealthy lifestyle - Having too much of processed foods without an adequate amount of physical activity can increase your prospects of developing metabolic syndrome. Eating a heart-healthy diet, which is rich in fruits, vegetables, whole grains, and fish can help to curb this problem. How to identify this health condition? When it comes to symptoms, this group of disorders doesn't reveal any specific signs but symptoms associated with individual health conditions that make up this group. You can come across signs like an increased waistline, or symptoms associated with diabetes like increased urination, a thirsty feeling, blurred vision, and fatigue. 8 Ways 'All Work and No Play' Messes Up with Your Health! 1. Working overtime can increase your risk of developing cardiovascular problems by about 60%. 2. While working too much can see your risk of experiencing a heart attack rise by about 13%, over 55 hours of work time every week can increase your chances of getting a stroke by about 33%. 3. Consistently working overtime can lead you to face mental health problems. 4. Over-working can cause your learning ability and memory power to fail as you don't get the required amount of rest time. 5. Working for over 11 hours a day can increase your chances of suffering from depression. 6. Working for over 40 hours a week can increase your risk of gaining weight, and indulging in alcohol and tobacco abuse. 7. Working for over 50 hours a week can bring about a reduction in your sleep time to less than 6 hours a day, which can have an adverse impact on your work performance. 8. Working non-stop in front of the computer can cause you to become prone to headaches and blurred vision. Being physically away from your workplace and going on short vacations can help your health considerably as it reduces work-related stress to a great extent. It also helps in the rejuvenation of your mind and body, thereby improving your overall health. Meditation is another helpful way in which you can cut down the harm that too much work can have on your body. Spend a few moments each day to de-stress and calm your agitated mind. Once you're at home, avoid the impulse of checking your phone or email for work. Furthermore, avoid bringing your smartphone with you to the dinner table and don't discuss work while eating. Visiting a doctor regularly is another preventive measure that you need to take very seriously. Screening tests for stroke, heart disease or high blood pressure should be undertaken from time to time so as to prevent yourself from falling prey to such problems. I have stomach problem when I used to eat outside food any food immediate pressure occur every day means every time please suggest me what should I do. Avoid spicy food, pickles, fried edibles, tea or coffee. Don't take water while taking meal and only one and half hour after meal. Take a little stroll after meal. Even minor degree of thyroid impairment in pregnancy can lead to lower IQ in offspring. Hence hypothyroidism should be adequately treated.